JC Video is the market leader in digital video instructional systems, and has set the industry standard when it comes to golf analyzing software. With over 4,500 systems in the current marketplace, JC Video is utilized by the majority of top swing coaches in the country today. This system gives golf professionals the ability to record the golf swing in a crystal clear, frame-by-frame format, and provides the tools necessary for instructors to easily break down a students golf swing in a way that is simple to communicate and understand. When making adjustments in your golf game, it is important to monitor your progress and gain instant feedback through in-depth video analysis. This supplies you with an accurate assessment of where you stand at all times while making adjustments to your swing. There is not a better tool than JC Video’s golf analyzing software. For additional information visit their website at www.jcvideo.com. Tomi, which stands for The Optimum Motion Instructor, offers the same personalized putting instruction that is available to PGA Tour professionals. This training device captures the eight most critical parameters of your putting stroke in real-time. With this data, TOMI can instantly tell you what you need to do to dramatically improve your putting. TOMI shows you the steps that need to be taken in order to become a great putter and is like having access to a personal, world class putting instructor whenever needed. After just one session you will see a huge improvement. 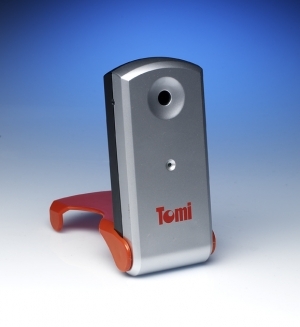 For additional information on this product visit their website at www.tomi.com. Utilizing launch monitor technology has allowed golfers of all abilities to improve their game in a variety of ways. The Pure Flight golf ball flight monitor employs sophisticated radar technology and mathematical algorithms to provide you with pure measurements and accurate calculations. It is a quick and easy way to obtain accurate readings for clubhead speed, carry distance, and ball velocity. Zelocity Golf Performance Monitors are rapidly becoming the standard for instructors, clubfitters, tour pros, college golf teams, and avid and recreational golfers of all abilities. These monitors are also being used at many charity events, driving ranges, corporate outings and amusement facilities. For additional information on Zelocity products visit their website at www.zelocity.com. 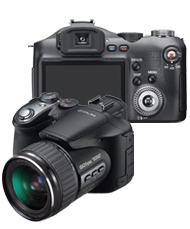 The new Casio EX-F1 is one of the most advanced high speed cameras available around the world. It is capable of shooting video up to 1,200 frames-per-second and boasts the worlds fastest burst shooting performance. The clarity and resolution of the EX-F1 is unmatched, and offers the opportunity to view the golf swing like never before. Furthermore, Casio gives instructors the benefit of viewing the swing as live streaming video or as still pictures.